Synopsis: WHEN HARRY MET SALLY . . . for teens, from romantic comedy star Elizabeth Eulberg. Eventually they realize they're best friends -- which wouldn't be so bad if they didn't keep getting in each other's way. Guys won't ask Macallan out because they think she's with Levi, and Levi spends too much time joking around with Macallan, and maybe not enough time with his date. They can't help but wonder . 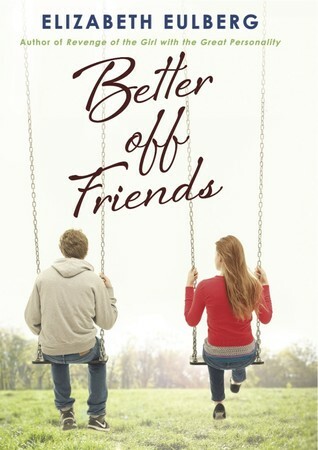 . . are they more than friends or are they better off without making it even more complicated? From romantic comedy superstar Elizabeth Eulberg comes a fresh, fun examination of a question for the ages: Can guys and girls ever really be just friends? Or are they always one fight away from not speaking again -- and one kiss away from true love?